In Muscat, I make myself at home at Antonio’s flat. It is the second time I take advantage of his hospitality. The first time was back in Honduras (see here what happened in Honduras), when I stayed at his home for two weeks, while trying to locate a part for the truck. 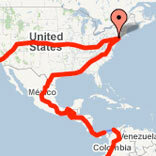 As I was driving through South America and Africa, he decided to take a job in Dubai, and moved there four months ago. It took him one day to fly there, while I had to drive for 7 months to get to the same point. I share the apartment with him and three other expatriates, all working at the newspaper “The Times of Muscat”. 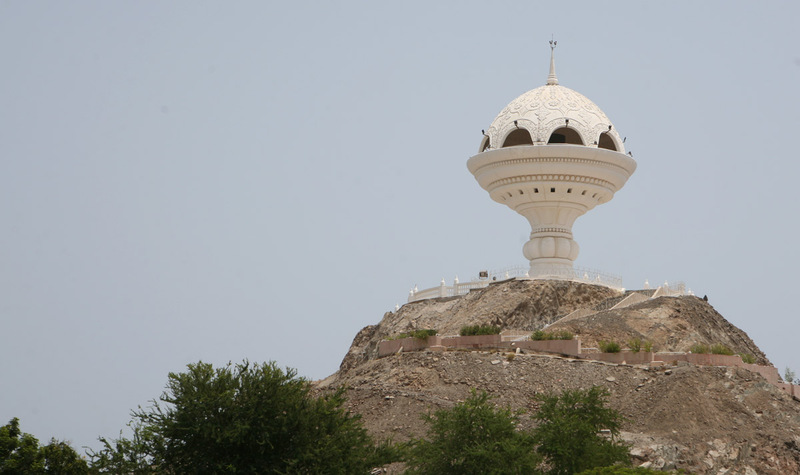 The country is ruled by the Sultan Qaboos who seized power in a coup against his father in 1970. 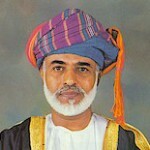 He is the prime minister and heads the foreign, finance and defense ministries of Oman. He decides everything in the country and is very popular despite the fact that there is no election. The temperature is still very high here, and you can’t go out much during the day. But I have to take care of my visas, which I do as soon as I arrive in the city. I am able to obtain easily the Iran visa in three days. It has been more easy than I thought. A month ago, I used a travel agency (recommended, US$42) as a sponsor to get the authorization number from the government. Then I just had to drop my passport here and get it back few days later (US$60). 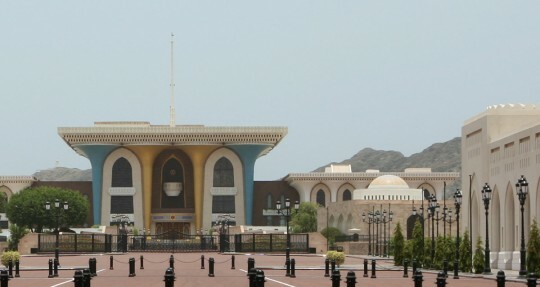 The India embassy asked for a week for the visa processing. So I just let my passport down there and begin to think that everything is going well. While it is in the work, I stop by the Pakistan embassy to enquire about the visa process. Here, I am surprised to learn that they would not grant me any visa, and that I am supposed to apply in my home country. I really can’t fly to France to get my visa, so I keep going every day to the embassy hoping to meet with the consul. After few days, they are tired to see me, and ask me to stop coming. More you advance around the world, more the countries become sticky. Sticky in the sense that it is harder and harder to go to the next country as I progress in my trip. While I research a solution to this new problem, I see on internet discussion boards that people are having similar problems in the region. No way of getting the visa in Istanbul, Abu Dhabi, Dubai, Tehran, New Delhi. Great. Regardless, I send emails to people in New York, Pakistan, Canada, Mexico, Iran, India and France, and as you are reading this post, many people are working on the issue and trying to push on different fronts in an effort to get me the visa. Small fishing harbor close to the old city. I even looked into crossing Azerbaijan, Georgia and Russia to Vladivostok from where I could ship the truck to Korea. But that would mean bypassing India and part of Asia, which would be sad. Oman Finance Ministry. Ruled by the Sultan. Anyway, it is too soon right now to know what direction I will be going, but I seriously hope I will get this damn visa. When I am not working on this particular matter, I go out, mostly at night to enjoy more moderate temperatures, and visit the city. 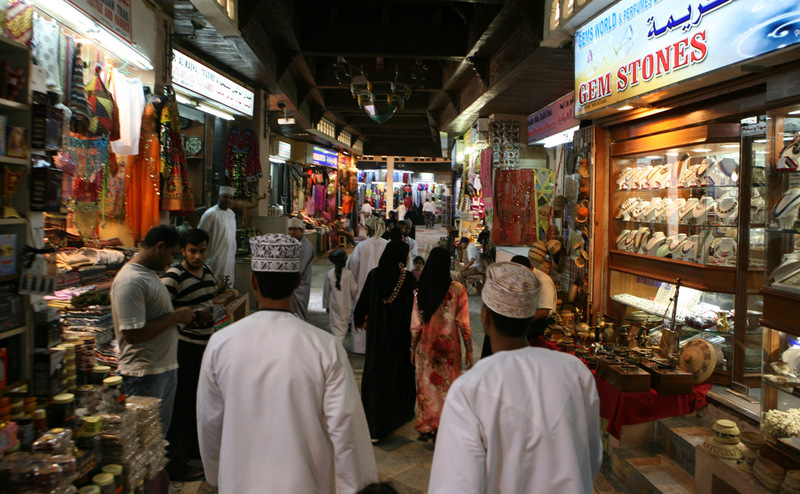 We go to the souk and the old Muscat, visit the beach, and even follow the example of locals and go to the mall. 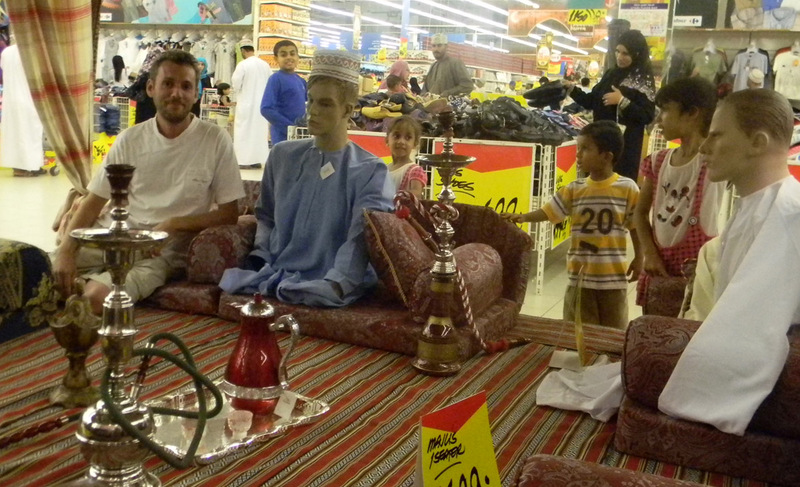 Official visit to the Muscat mall. 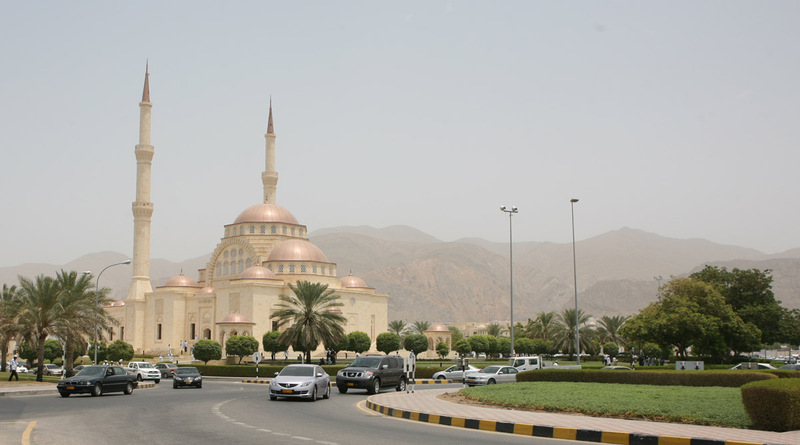 Monday afternoon I picked up my India visa (US$48), and I will drive on Tuesday to Abu Dhabi or Dubai. This will be an intriguing visit, and I am excited about it. 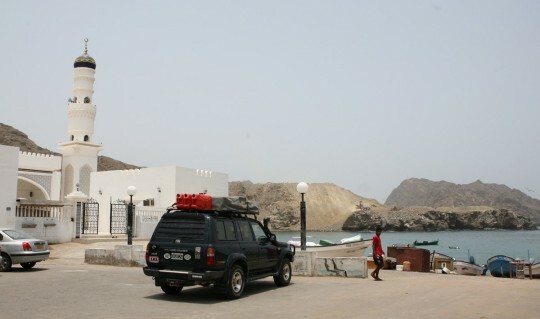 In parallel to the city visits, I will have to get ready to cross the Persian Gulf, this time by ferry boat. And of course, pay a courtesy visit to the Pakistan consulate.